SOUPS, SANDWICHES, SALADS & WRAPS MADE FROM SUSTAINABLY RAISED, LOCAL INGREDIENTS. Featuring many Vegan and Gluten Free menu items. The Downtown location does not work with any online ordering/delivery apps or services. 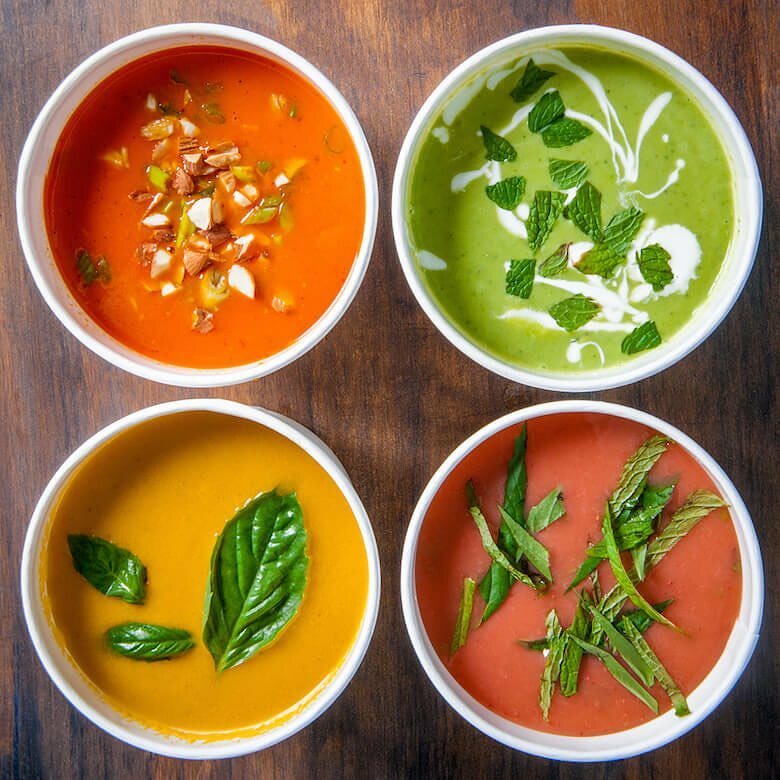 Affectionately known as "Rev Soup”, We've been serving delicious, thoughtful and healthy food in Charlottesville, VA for over 20 years. We prioritize eating local and organic and we think the best things in life are food, beer, wine, friends and literature. Recite five lines of poetry when ordering, and good things will happen. If you don't know any poetry, check our board each month for a poem and two great poets you should read. The library is within walking distance; go find them there! We are dedicated to the people and businesses of our region and to the practices of good stewardship for our planet. These principles have given us the framework to achieve our specific desire to provide excellent hospitality and warm, friendly service to our guests. The greatest changes for a better community happen in the smallest moments: a smile, a courtesy, a warm meal, a good song, and a good drink at the right time in an environment that welcomes you… where you can relax. Hospitality to inspire or simply be comfortable in, whatever is needed we are here to serve. Every person working with us brings a light to our collective and helps us to redefine daily who we are and how we can serve our community. If you would like to be part of our team we’d love to hear from you. With a variety of options, such as party platters with unique wraps, box lunches featuring gourmet sandwiches and salads, or a self-catered banquet of hearty soups, your taste buds won’t get bored!